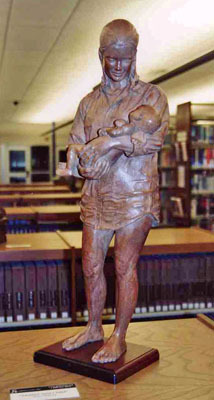 "Mother and Child" is shown as part of a Sculptureworks display at the Grapevine, TX, Public Library. Photograph by Elizabeth Loggins. A woman holds onto her newborn child.